Whenever I go out anywhere, I NEED to be wearing some kind of hand jewellery. I don't really wear big or bold pieces of jewellery and the only jewellery that I really wear are rings. 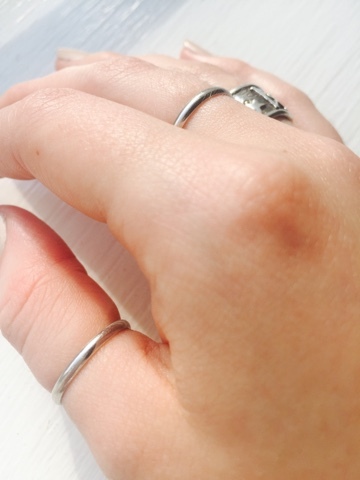 For the last few months, my go-to choice for hand jewellery has consisted of two plain silver bands. One for my right thumb and middle finger. They are subtle yet elegant and easily enhance an outfit. On my right ring finger, I wear a ring I got for my 18th birthday that is from one of my favourite book series, 'The Mortal Instruments' by Cassandra Clare. 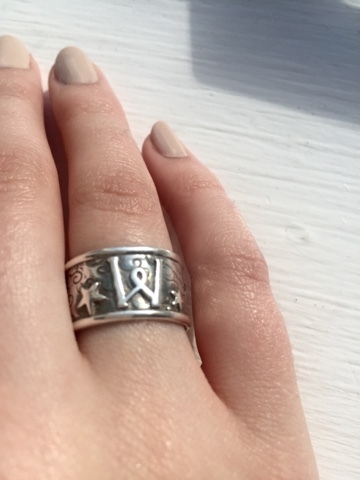 It is a silver ring with some stars and the letter 'M', or is it 'W'? (Those who have read this book series will understand that reference). 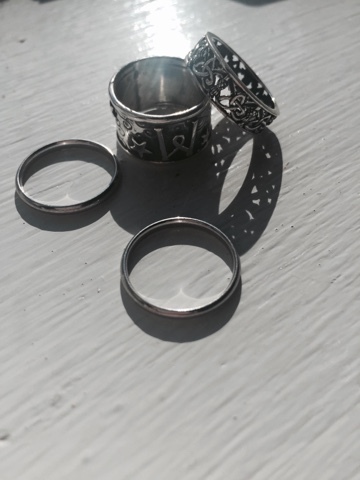 This ring means a lot to me and so I make sure I wear it as much as I can. The detail is beautiful. On my left middle finger, I've been wearing a ring my mum bought for me from our visit to Rossyln Chapel in July this year. 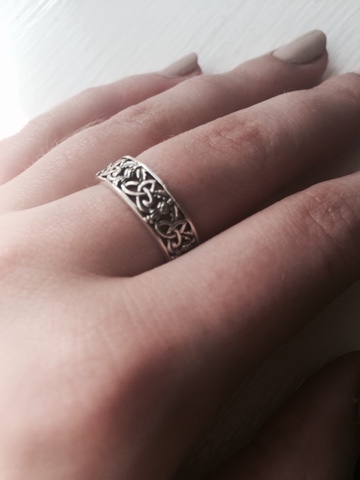 It is a beautiful and intricately designed ring that, again, means something to me as my mum bought the same ring for my sister. 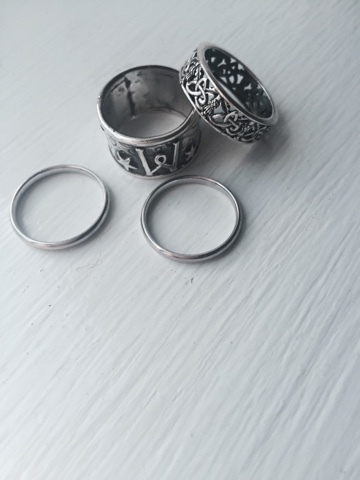 Also, there is a pattern on the ring that almost resembles the letter 'P' and I see this as a nod to my middle name, Patricia, which is my gran's name.